Fossils are not exceptional for paleontologists to dig up on the Colorado National Monument, as this place is showing some big finds in fossils. Paleontologists have discovered two different fossilized tracks that are not bigger than a quarter but they are printing a rare scene for researchers and creating quite a stir. Dr. John Foster (paleontologist) says that "Tracks are evidence of a living animal going about its business and these prints of a lizard and some turtles are 150 million years old. 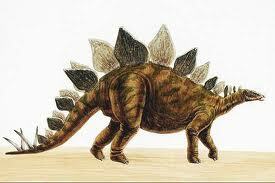 They are generations that were lived in the shade of the bigger dinosaurs like Stegosaurs and Brachiosaurus. Dr. George Callison says - Some shows more than one turtle heading in the same direction that gives raise to speculation that maybe we are looking at a herd of turtles. Often, small animal tracks are swept away long before they're preserved and they are rare to find in the Morrison Formation. However, these findings play an important role in finding how an animal like the turtle lived and fossils will be display at the Colorado National Monument's visitor center until October 22nd.